It’s the first yarn from little Marseille that I’ve ever spun, from her baby fleece. 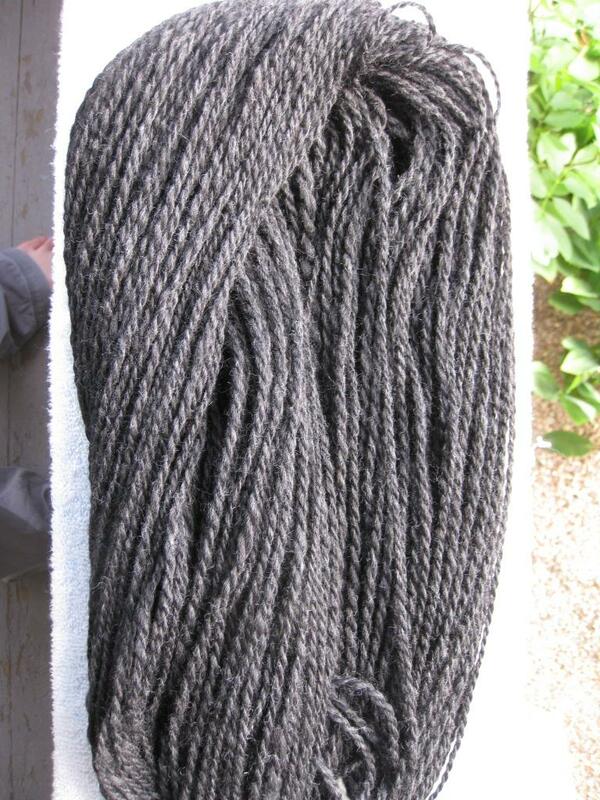 The color is really hard to capture, but it’s a dark gray, almost black, shot through with shiny light gray strands. 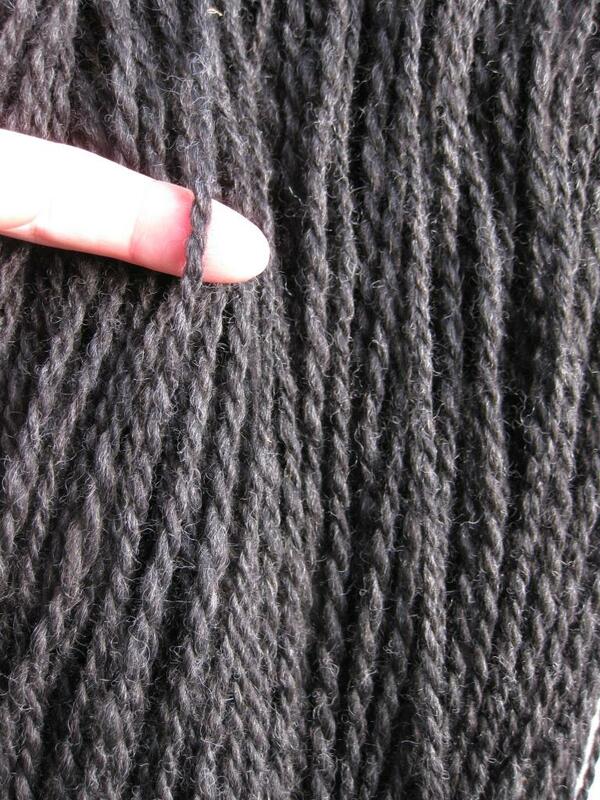 I spun the singles on my sidekick, and plied it all on my drop spindle. I haven’t spent so much time working with my spindle in a while, and I actually gave myself blisters, but it was worth it. This solid, medium weight yarn is no fuss and no frills, but soft soft soft. This entry was posted in fiber art and tagged drop spindle, hand spinning, handspinning, handspun yarn, sidekick, spindle, spinning wheel, yarn. Bookmark the permalink. BTW realized sister in law (based on her bio clock not actual due date) may be having baby any day from next week onward so I will be needing the plain trip soon too. =)) We can talk amounts and what not later just thought I’d give you a heads up. Looks lovely – real steel grey. It’s a great color! Not as soft as I was expecting from her baby fleece, but then, I’m spoiled.